Results (in microsieverts) after 30 minutes (as close to fresh rain as possible w/o splashing the geiger-muller tube). Ready? 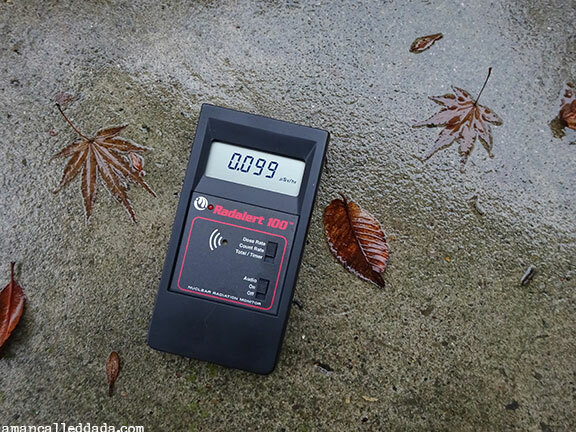 Rather than accept anyone else's numbers, Da-da took the plunge and bought himself an early Christmas present: a Radalert 100 geiger counter... and since Da-da was in Northern CA for the much-touted -- if not horribly oversold -- "Stormageddon" 2014, he decided to check the much-touted and alleged higher radioactivity levels alleged to be blasting 3000 miles across the Pacific from Fukushima. The results were staggeringly banal. 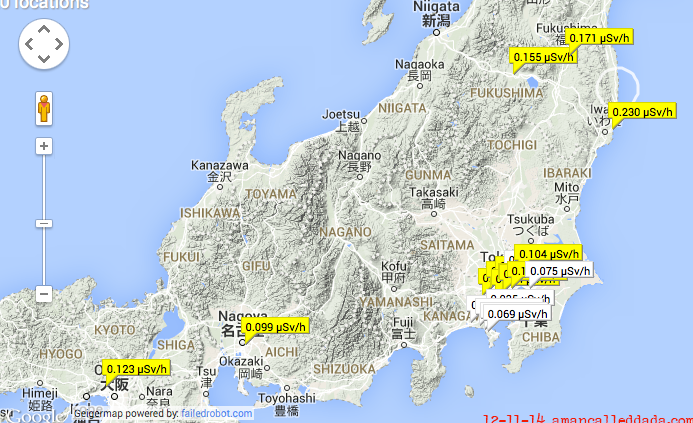 Da-da seriously doubts that the radioactivity readings just outside the unofficial Fukushima exclusion zone (that circle along the East Coast there) are 0.230 microsieverts/hr, but that's what it says. It appears that Northern CA is a whopping 2.3 times LESS radioactive/hr than that, which is pretty darn low. Then again, Da-da's spent a lot of time in San Diego, so perhaps he's skewing the NorCal results. 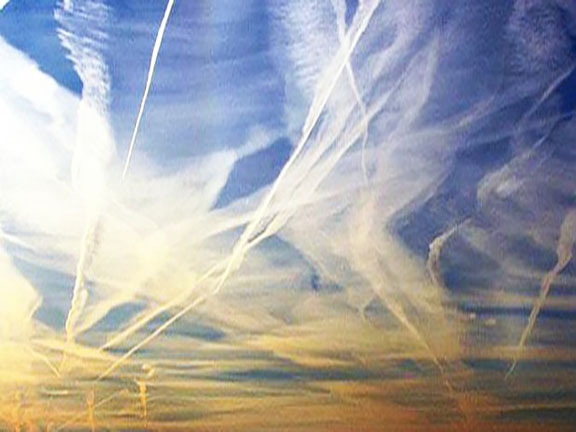 So, you either believe in the spraying, it or you don't. Anyway, this went on more and more for the past couple years, with a ton of spraying done in the fall of 2014, right in the path of approaching storms, said rainstorms inexplicably evaporating -- that is, until something extraordinary occurred. It was about this big. Da-da was reading on the second floor of a friend's house, next to a big picture window, when he saw a large object move in OH-SO-SLOWLY from the west. It was a big... nay, ENORMOUS: a fat diamond shape, like a cube moving point end first, with red, blue, green and white lights along the edges, moving only about 100 mph, much slower than a jet aircraft with its gear down; indeed, much slower than one of the Cessna 172s that regularly plod along on their way to the local airstrip. 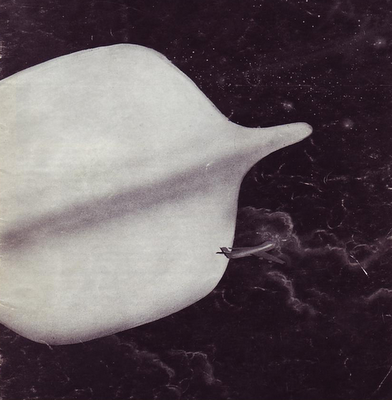 The thing was easily ten times larger than a jet and looked about as big as a good-sized sports stadium. The object moseyed into view, going so slowly that Da-da had time to alert everyone in the house, such that four people saw it. Note that there was NO SOUND as it traveled right down the little NorCal town's main drag, right behind the house Da-da was in, and right in front of all of us. (Yes, we filed a MUFON report.) Alas, Da-da got no pictures, as it was 8:15 pm and way too dark to get anything but blurry blobs of light. Da-da's wife, a profound skeptic, also saw it -- independently -- noticing the huge object as she was driving to the house from five miles away. 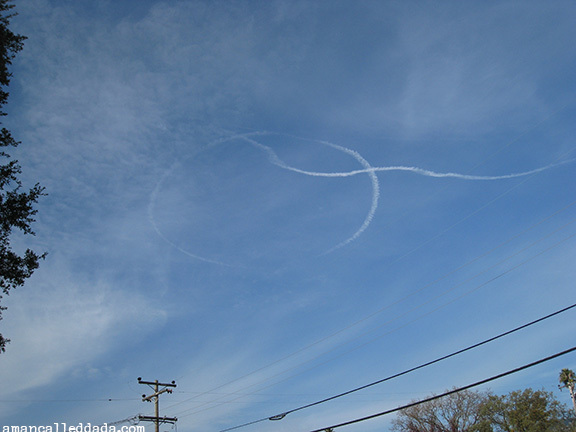 Also of interest, this sighting occurred in a region known for heavy jet aircraft activity due to two major airports immediately downrange (SFO and OAK). Even better, there was NO aerial activity for about two hours after the UFO went by. Nothing. Not even a helicopter. Ok. So, a UFO sighting. So what? Happens all the time, right? This one was different, as the next day -- and nearly every day since then -- it's rained in Northern CA. It hasn't rained more than a trace in Northern CA for over a year, and now that a gynormous UFO has tooled on by, it's been raining nearly every day. Coincidence? And, in those rare days when the clouds part and you can see blue sky, those pesky high-altitude jet contrails are nowhere to be seen. Does this mean the UFO issued a warning? Affected the atmosphere? Reset housing prices? Cleaned grandma's kitchen? Did it also fix the radiation problem with the Pacific Ocean? Or was there never a problem in the first place? No idea. But something happened here, and whatever it was, it's good news all way 'round. Is it time to do the Breakfast Club Happy Dance? Yes. Yes, it is.